The developer is a frequent face at Walnut Creek’s Planning Department, and will responsible for constructing more than 900 new housing units around the downtown BART station. A Walnut Creek housing proposal cemented approval last night after the City Council voted to quash an appeal. 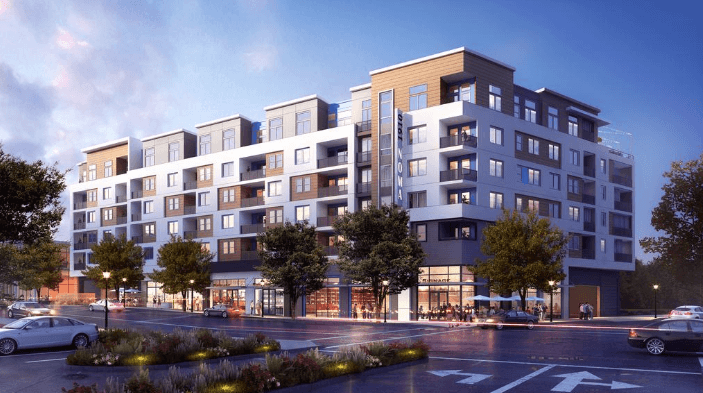 Danville-based developer Blake Griggs’ now has a clear line of sight for its 1910 Noma project, which includes 135 units of housing and 10,000-square-feet of retail about a block away from the Walnut Creek BART station. Lauren Seaver, Blake Griggs’ vice president of development, said it expects to break ground sometime within the next six to twelve months. Fuddruckers restaurant now occupies the site, but would temporarily leave and then move back into 4,000 square feet of retail space once the site is rebuilt. Seaver said tenants for the remaining 6,000 square feet have not yet been chosen. A local union, the Laborers International Union of North America, was behind the appeal and cited inadequate environmental reviews. Unions have frequently appealed East Bay housing projects on environmental grounds when they’ve had disagreements with developers over the use of union labor. The Laborers International Union of North America did not respond to requests for comment. Walnut Creek Senior Planner Gregg Kapovich said the union could still sue, but as of now, no more appeals are possible.